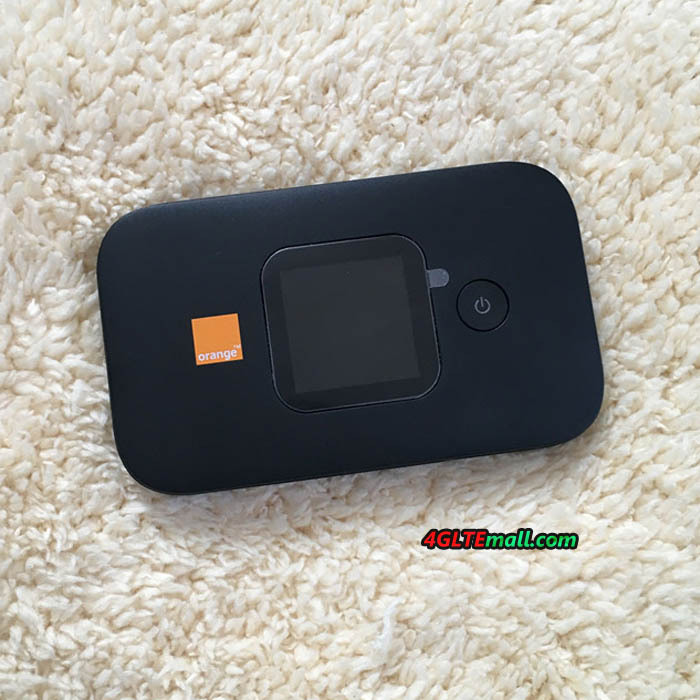 Today, we present you one of the smallest mobile hotspots from Bouygues Telecom, the Huawei E5577s–321, we will say E5577 instead in the article below. The Huawei E5577 is a little smaller than its big brother the Huawei E5786 (4G+), a bit thicker than its little brother the Huawei E5372 (4G), the E5577 is distinguished by the gray color of its edge, but it looks very similar to the other huawei hotspots. The body is in black or white, made of plastic. The E5577 is very slim and it fits in your hand or your pocket. But it’s a pity that Huawei did not set a hole for a strap in the body. Work as theWiFi hotspot: take the air 3G/4G around you to turn on Wi-Fi, so you can connect up to 10 devices. This is the classic feature “hotspot”, when you’re in the middle of somewhere and under 3G/4G network coverage. For the Wi-Fi you have the choice between 2.4GHz (classical, old, but a little crowded) or 5GHz (later, to book in for more powerful). You choose according to the devices you want to connect. The Wi-Fi in 5GHz, up to 300Mbit/s could be achieved if one parameter bandwidth in 2 channel (40MHz) instead of one (20MHz). At 2.4GHz, the Wi-Fi link is up to 150MBit/s. It’s already good enough. 2) Work as a 4G USB modem: take these 3G/4G mobile network waves, and connect via a USB cable to a computer, then acting as a USB modem. In reality, it is a type of “Hilink” modem which does not require installation of drivers, and is managed through a web interface in a browser: the advantage is that the ignition the connection is very fast, takes seconds. 3) Work as the Wi-Fi repeater: Wi-Fi make the waves around you, open access point, and share them with up to 10 devices: the “repeater” function or “spreader” (called WiFi Extender). Useful to save its mobile data quota when in a “connected” environment. When Wi-Fi is not available, the E5577 (which is small but very clever) automatically switches to the mobile connection. 4) Work as the backup battery bank: with a small USB micro-B on both sides (not supplied with the device) or the micro-B USB/USB 2.0 supplied to your smartphone or tablet, you can recharge your valuable equipment to communicate. The “battery” function does not prevent normal operation of the hotspot. First surprise unpacking: Huawei E5577 battery is huge and removable, almost twice as thick as that of the E5372! 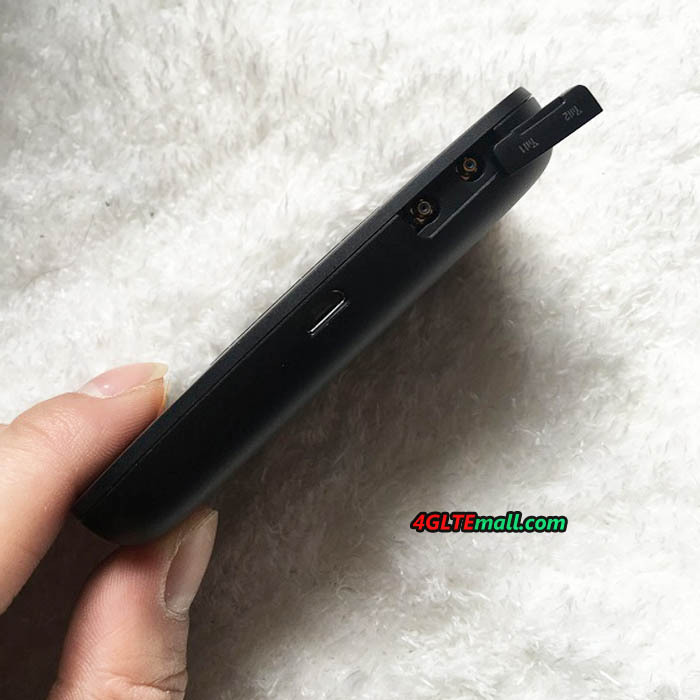 The listed capacity is 3000mAH, against 1.780mAH for the E5372, and is likely to last, according to the mobile network used, 400 or 600 hours standby and up to 12 hours of continuous use. This is a Lithium-ion polymer. In practice, 12 hours are for use 4G (with one machine connected). Second pleasant surprise: unlike the interface in the E5372, Huawei E5577 offers that of a connection interface with a login/password. We can change the password at the earliest to avoid problems. Third pleasant surprise: the connection statistics and appliance consumption are there! A special section of the interface allows you to monitor what’s going on, connected, and for how long. If you are not happy to see such a machine, you can block it by its MAC address. It is also cool to set its “data plan” for the monthly statistics. That’s useful, and it was sorely lacking on the E5372! And fourth major positive surprise: the E5577 seems to better capture the mobile network than its predecessor the Huawei E5372. E5577 is much more stable when it changes place. In all cases, the difference is very clear: the connection is stable, we can walk with little fear of losing the network. In my test, I got 4G 3 bars, 50Mbps downlink (4G) indoor and 30Mbps upstream, almost as well as the E5786 4G+ in the same place. With an external antenna (MIMO 2×2), which plugs into two small TS-9 ports under a small hatch on the front edge, it will reach comfortable DL 70Mbps/UL 30Mbps. This is a feature common to all the Huawei hotspots models I tested. The function WPS(with PIN), which allows to connect to the hotspot without entering the security key is present. The micro SD card is classically now available on connected devices that can download or upload files on the storage card (the SD card is not supplied). We can watch a movie stored on the hotspot from their smartphone, or listen to music. The data exchanged over the LAN obviously not count against the quota of “mobile data”, as they are traded in Wi-Fi. The link to the customer “My Account” on the home page of the hotspot, works! The E5577 is not simlock. That’s fine, we can compare the performance of mobile networks. The battery indicator: 4 bars, so 100%, 75%, 50%, 25%, and the empty indicator that flashes when it recharge, rather than a specific percentage, I mean. It always shocks me to go from 25% to 0% without going through the box 15%, which is the moment you should recharge the battery. The inability to change the login name “administrator” and it will remain “admin”. The selection of network parameters (2G, 3G, LTE) and Network Mode (Auto/Manual), less intuitive and less accurate than previous models which can only shoot 4G (LTE), you can not choose 2G or 3G. The E5577 hotspot IP is 192.168.1.1: The E5372 and E5786 were 192.168.8.1, fortunately, you can easily change this address. The PIN entry screen, which always encourages box “Remember PIN” … thus disabling the PIN code request in the next ignition or next connecting a guest.We would like a safer screen. 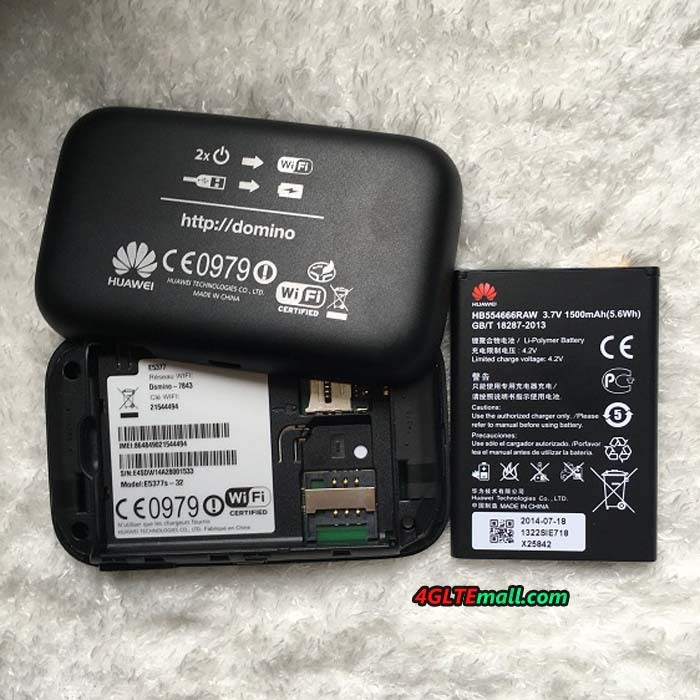 In summary, the Huawei E5577 is a more complete version of the E5372: it has the same features – and even more, its interface is more complete, the data connection is more efficient and Wi-Fi connection faster. With a large battery capacity, it goes for a long session of work or leisure. 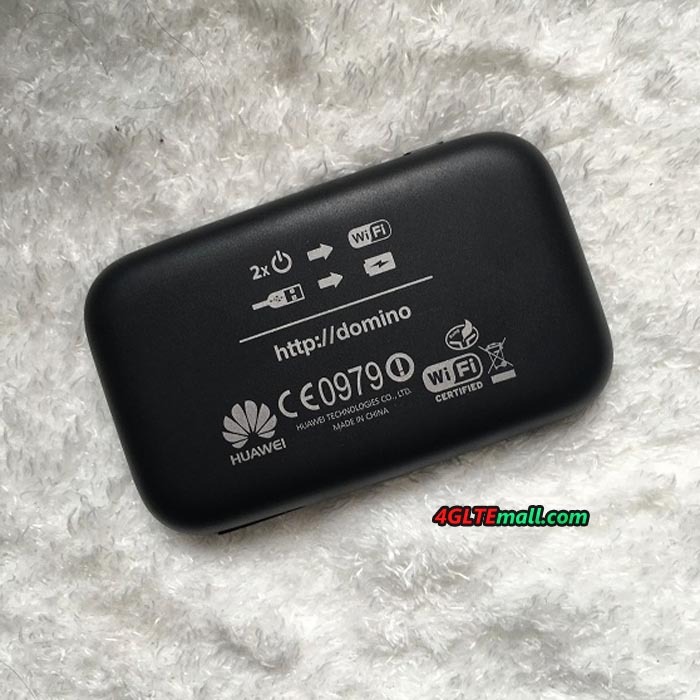 With slim pocket size, Huawei E5577 is a good mobile router.